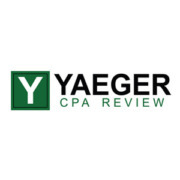 Yaeger CPA Review [GET $100 OFF] Must Read Before You Buy! Yaeger CPA Review has completely redesigned its CPA review course to reflect the upcoming changes to the CPA exam and offers a highly customized learning experience to clients. Founded by Phil Yaeger in 1977, Yaeger CPA Review has recently rolled out its new AdaptaPASS course. By asking you a few questions about how you prefer to learn, the software can generate a tailor-made CPA exam review that meets your specific needs. The AdaptaPASS program was developed and added to the Yaeger CPA review course to provide you with a truly personalized learning experience. Get a completely customized learning platform based on your answers to a few short questions about your learning style and the way you prefer to study (i.e. do you want more readings, or do you want a lot of practice questions? Would you prefer detailed explanations or a short summary? What does your schedule look like?). Once generated, your dashboard will look completely different from other students’ dashboards, even if you are enrolled in the same CPA course. Yaeger takes advantage of computer adaptive learning to design your course and shape your learning experience. Study modules change based on your performance in previous modules. Each time you use the system it gets “smarter” by using predictive technology to zero in on your strengths and weaknesses. You’ll receive recommendations of what to focus on according to your study history. Review content is personalized and optimized so that you are presented with video lectures, audio lectures, textbooks, and customized quizzes and exams that will help you the most. AdaptaPASS includes unlimited videos, CRAMs, audio and an updated test bank that reflects the new format of the CPA exam. This course is still in the testing phase, making now a great opportunity to check out the beta version at a discounted price. The well-organized dashboard allows you to see your progress at a glance and makes it easy to navigate among the various modules. Yaeger has kept those features students have found useful in the past and has added several interesting innovations. One useful feature is the “Book Learning Focus” module. As you are reading information in the online textbook, the content in the windows that surround the primary textbook window changes as the information in the textbook changes. For example, a series of videos that have content that is related to the textbook section you are reading will pop up in an adjacent window, and multiple choice questions that are directly related to content on the textbook page will come up in another window. As you move to another page or topic, the content in the adjacent windows will change to match the textbook content. Yaeger’s video lectures are comprehensive (although somewhat long). The instructors work hundreds of multiple choice questions step by step to help you learn how to tackle even the hardest problems and reinforce your understanding of each concept. Yaeger’s straightforward teaching approach will help you understand each concept and know how to apply it. You can preview a few lectures by clicking on the “view demos” tab on the Yaeger CPA Review website. Within the course, the videos are completely integrated with the interactive textbook, so you will see the relevant textbook pages appear as the professor discusses them in the lecture. An optional comprehension check follows the videos, so you can answer a question about any information presented in the video to see if you understood the content. If you have a shorter attention span, you may get bored by Yaeger’s traditional video lectures. They are structured like typical, college-level accounting classes and may appear slow. If you are easily distracted by the surrounding information (textbook sections, videos, relevant multiple choice questions that pop up in adjacent windows), then this might not be the best fit for you. In order to make sure that their prep course has the most relevant information for aspiring CPA’s, Yaeger proudly draws from the AICPA’s Blueprints when designing all of their study material. Because of this, students who enroll in this prep course can rest assured that they are learning the most pertinent information that definitely will be on the final exam! There’s nothing like last-minute nerves, and Yaeger’s CRAM courses are designed as a final review that will help candidates refresh their knowledge and prepare themselves a few weeks before they walk into the test center. This option is ideal if you want to brush up during their final review and raise their score by a few points. Choose between the online-only CRAM and the online + offline USB CRAM course, depending on whether you will have internet access. The Live Instructor Hotline provides support from actual CPA exam instructors, so you’re guaranteed to get reliable information straight from the source. This includes live help from Phil Yaeger himself! Access to instructors whenever you need it is especially important for a course that has no live study options. Thanks to the hotline, you can contact your instructors directly for help. Although we recommend buying the entire course, the option of buying each component separately is convenient if you have already taken and passed one or more sections of the CPA exam, or are looking to supplement your studies with additional materials, such as the test bank, CRAM course, or flashcards. Go To Yaeger CPA Review!